UP Board 10th and 12th result 2019 @ upresults.nic.in or upmsp.edu.in: Uttar Pradesh Madhyamik Shiksha Parishad (UPMSP) is soon going to declare the results for UP Board class 10 and class 12. As the results are on way, the students should keep track of the latest notifications. To save you from the chaos, we have brought the detailed information including steps to check UP Board results, list of websites to check UP Result 2019, checking UP board class 12 result via SMS, a little about the UP Board. 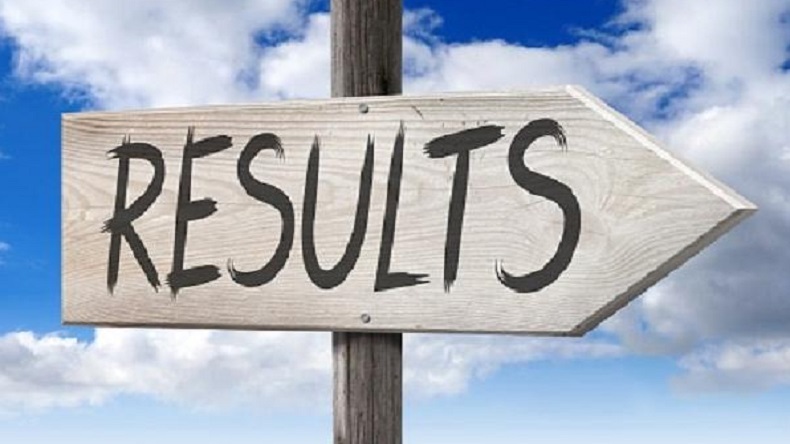 UP Board 10th and 12th result 2019: Uttar Pradesh Madhyamik Shiksha Parishad (UPMSP) is likely to announce the UP Board class 10 and class 12 results in few days. According to the notifications surfacing on the internet, the UP Board Result 2019 for Class 10, 12 is scheduled to release any day between April 20 and 25. Students who sat for the UP Board examinations should keep a regular check on the official website which is upmsp.edu.in, upresults.nic.in. As the date of result is approaching, we have brought the detailed information on the examination including UP Board Exam dates, Steps to check UP Board results, List of websites to check UP Result 2019, checking UP board class 12 result via SMS, a little about the UP Board. The board examinations for Class 10 students were conducted from February 7 to February 28, 2019, and the board examinations for class 12 students started from February 7 and ended on March 2, 2019. UP Class 12 Result 2019: Here are few easy steps to check your score on the official website! 4. After submitting, the result will flash on your screen. 5. Take a screenshot or get a print out of the result for further use. Students who have appeared for the UP board examinations should keep an eye on the latest notifications of the official website. When the result will be declared, the congestion of websites might happen. The students should not panic at that time as the scores can also be found out by SMS. For the students who want to know how to check UP board class 12 result by SMS, quit panicking! Here are two simple steps! 2. Soon you will receive a message with your result in it. Uttar Pradesh board was found and set up in the year 1921 in the city of Allahabad following the act of United Provinces Legislative Council. The first examination conducted by the UP board ever was in the year 1923.